R Node is a great web interface to R.
The web browser UI works in all modern browsers, including IE 7 and 8 (excluding SVG based graphs). Username/password login (both from the browser to the R-Node server, and from the R-Node server to Rserve and R). Per-user R sessions. Each user can have their own R workspace, or they can share. 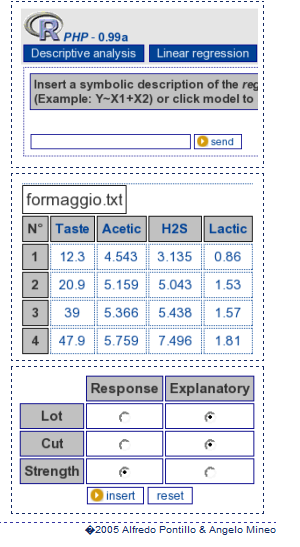 Support for most R commands that perform statistical analysis and provide textual feedback. 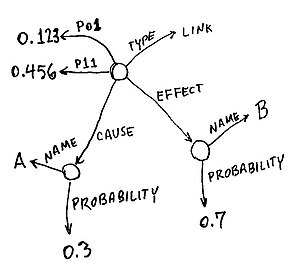 Support for most standard R commands that provide graphical feedback via server side generation of the graphs. Some graphs (e.g. plot() can be plotted via SVG client-side as well). 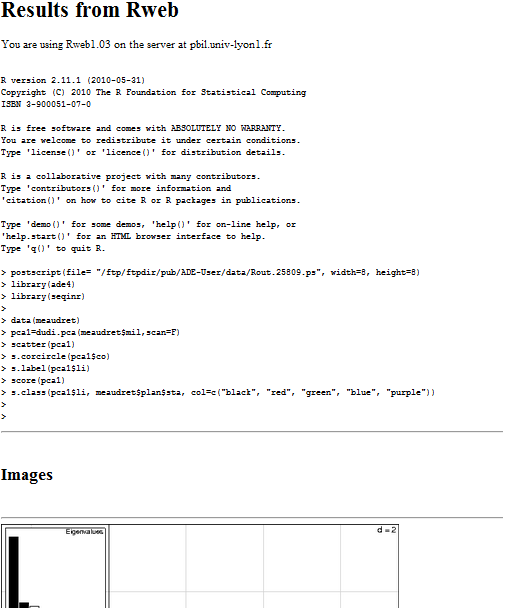 Uploading files to work with their data in R.
Many commands will work. Try a command, if it does not work, use the feedback button in the application to let us know. Installation of new R packages. Searching of help via ??. JSS paper Citation. 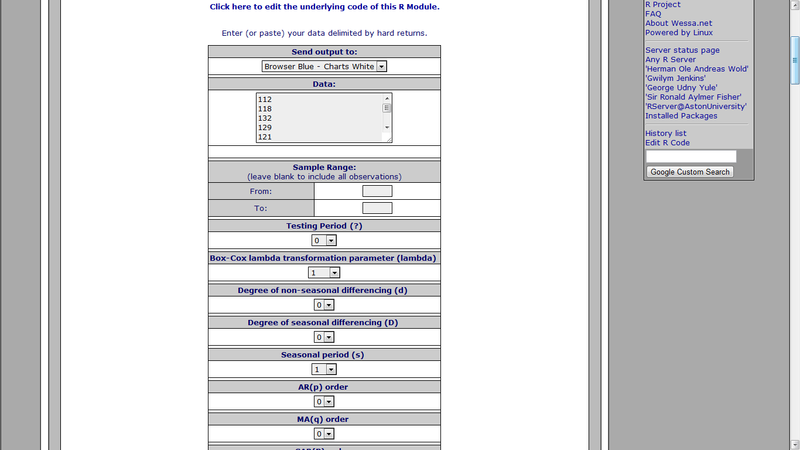 CGIwithR: Facilities for processing Web forms using R. Journal of Statistical Software, 8(10), pp. 1-8, 2003. Here is a short list of resources and material I put together as starting points for R and Cloud Computing It’s a bit messy but overall should serve quite comprehensively. Cloud computing is a commonly used expression to imply a generational change in computing from desktop-servers to remote and massive computing connections,shared computers, enabled by high bandwidth across the internet. R is an integrated suite of software facilities for data manipulation, calculation and graphical display. 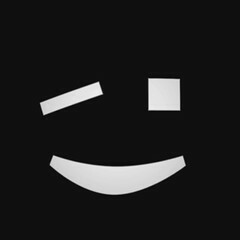 Rcgi is a CGI WWW interface to R by MJ Ray. It had the ability to use “embedded code”: you could mix user input and code, allowing the HTMLauthor to do anything from load in data sets to enter most of the commands for users without writing CGI scripts. 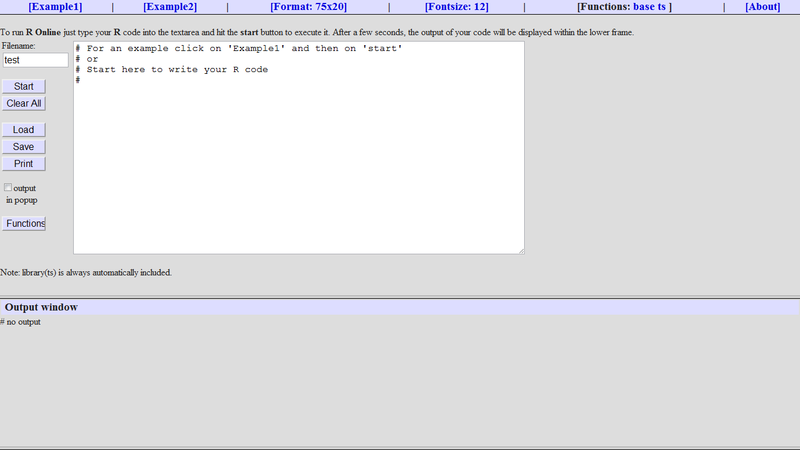 Graphical output was possible in PostScript or GIF formats and the executed code was presented to the user for revision. However, it is not clear if the project is still active. Currently, a modified version of Rcgi by Mai Zhou (actually, two versions: one with (bitmap) graphics and one without) as well as the original code are available from http://www.ms.uky.edu/~statweb/. CGI-based web access to R is also provided at http://hermes.sdu.dk/cgi-bin/go/. 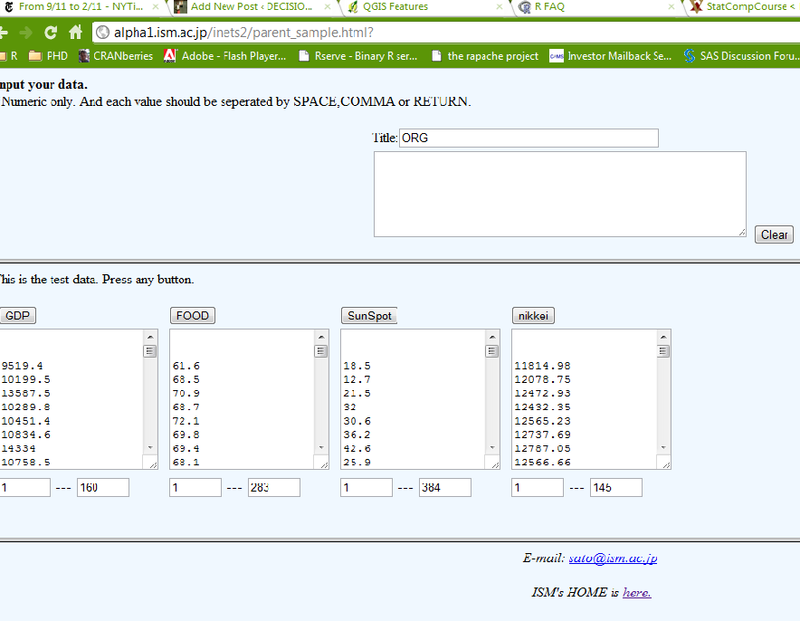 There are many additional examples of web interfaces to R which basically allow to submit R code to a remote server, see for example the collection of links available from http://biostat.mc.vanderbilt.edu/twiki/bin/view/Main/StatCompCourse. 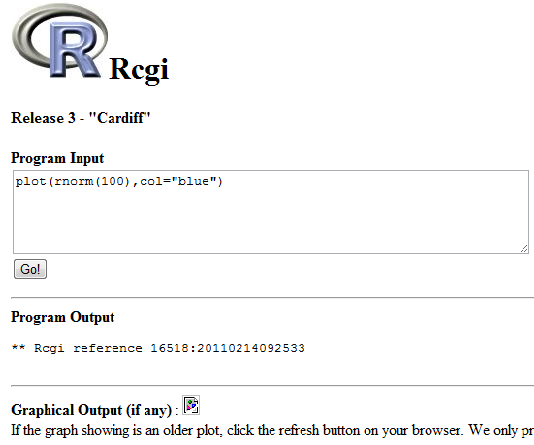 David Firth has written CGIwithR, an R add-on package available from CRAN. It provides some simple extensions to R to facilitate running R scripts through the CGI interface to a web server, and allows submission of data using both GET and POST methods. It is easily installed using Apache under Linux and in principle should run on any platform that supports R and a web server provided that the installer has the necessary security permissions. David’s paper “CGIwithR: Facilities for Processing Web Forms Using R” was published in the Journal of Statistical Software (http://www.jstatsoft.org/v08/i10/). The package is now maintained by Duncan Temple Lang and has a web page athttp://www.omegahat.org/CGIwithR/. OpenStatServer is being developed by a team lead by Greg Warnes; it aims “to provide clean access to computational modules defined in a variety of computational environments (R, SAS, Matlab, etc) via a single well-defined client interface” and to turn computational services into web services. 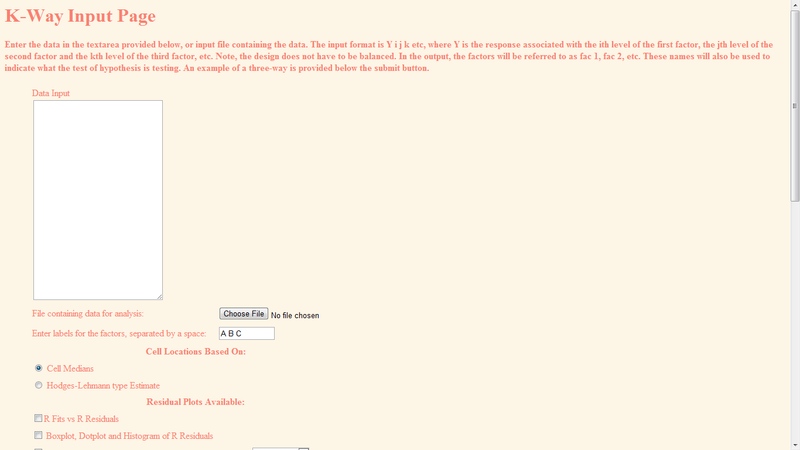 Rwui is a web application to create user-friendly web interfaces for R scripts. 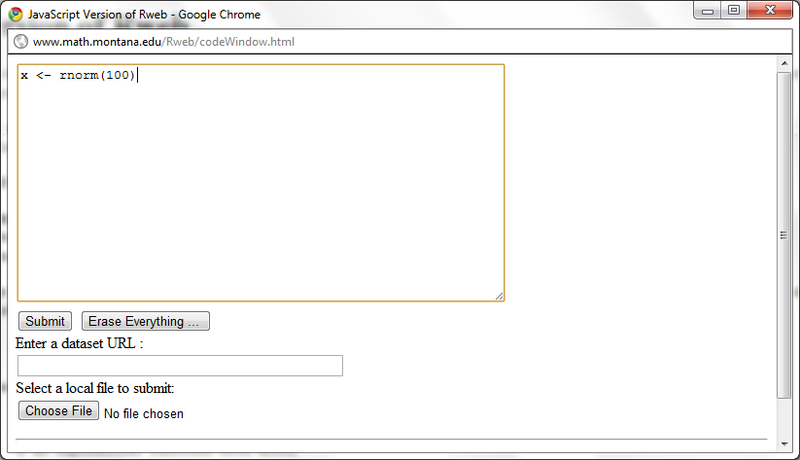 All code for the web interface is created automatically. There is no need for the user to do any extra scripting or learn any new scripting techniques. Rwui can also be found at http://rwui.cryst.bbk.ac.uk. Finally, the R.rsp package by Henrik Bengtsson introduces “R Server Pages”. Analogous to Java Server Pages, an R server page is typically HTMLwith embedded R code that gets evaluated when the page is requested. The package includes an internal cross-platform HTTP server implemented in Tcl, so provides a good framework for including web-based user interfaces in packages. The approach is similar to the use of the brew package withRapache with the advantage of cross-platform support and easy installation. Start the workbench by downloading the package for your operating system (Macintosh or Windows), or via Java Web Start, and you will get access to an instance of R running on one of EBI’s powerful machines. You can install additional packages, upload your own data, work with graphics and collaborate with colleagues, all as if you are running R locally, but unlimited by your machine’s memory, processor or data storage capacity. to use their primitives to interact with Web services. Simple and convenient to use. An AMI contains your applications, libraries, data and all associated configuration settings. You simply access it. You don’t need to configure it. This applies not only to applications like R, but also can include any third-party data that you require. On-demand availability. AMIs are available over the Internet whenever you need them. You can configure the AMIs yourself without involving the service provider. You don’t need to order any hardware and set it up. Elastic access. With elastic access, you can rapidly provision and access the additional resources you need. Again, no human intervention from the service provider is required. This type of elastic capacity can be used to handle surge requirements when you might need many machines for a short time in order to complete a computation. Pay per use. The cost of 1 AMI for 100 hours and 100 AMI for 1 hour is the same. With pay per use pricing, which is sometimes called utility pricing, you simply pay for the resources that you use. This package consists in a bunch of functions allowing the user to test Google Prediction API from R.
see http://code.google.com/apis/storage/ and http://code.google.com/apis/predict/ for details. Elastic-R is a new portal built using the Biocep-R platform. It enables statisticians, computational scientists, financial analysts, educators and students to use cloud resources seamlessly; to work with R engines and use their full capabilities from within simple browsers; to collaborate, share and reuse functions, algorithms, user interfaces, R sessions, servers; and to perform elastic distributed computing with any number of virtual machines to solve computationally intensive problems. businesses, but very few forecasting and statistical simulation apps. SAS Institute has an existing product for taking in Salesforce.com data.